Waxy Maize Starch. Perfect as a peri-workout. Available in several formats and flavors. Suitable for vegan diets! Mass gainer. It provides 50g of protein per serving. Mass gainer. It provides more than 52g of protein per serving. With amino acids. Energy drink with protein and electrolytes. Maximum post-workout recovery. Don't waste any more workouts! You need this if you train a lot. It's energy for refuelling your muscles and gaining muscle tissue (together with a good diet). Perfect, easy to blend with f.example bcaa cola taste after workout or with preworkout before training. 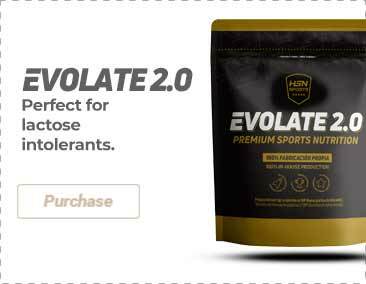 I always purchase the neutral flavour so that I can mix it with Evowhey 2.0 in my pre-workout shake, I get a better performance even in long workouts, sometimes I even mix a little with some water to use it during the intra-workout to feel even more energized. I tried the neutral flavour and personally I did not like it, but I tried the orange one and I loved it. I notice its effects regardless of when I use it, either during the pre-, intra-, or post-workout. Perfect for muscle mass development. This product makes me feel full of energy and I get a good recovery as well. It does not produce any stomach discomfort at all, you’ll feel like you gain weight but it is actually muscle. Convincing lemon flavour.